The 2013 2×2 book list is now out which means. . . new posts about these books. It’s ridiculous how excited I am by a new booklist. And by the fact that we’ve already read several of them! 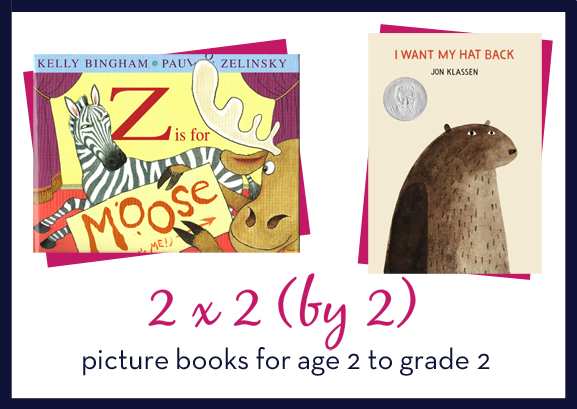 Z is for Moose by Kelly Bingham and Paul O. Zelinsky. This was a huge favorite to get a Caldecott nod and I know lots of people were disappointed it didn’t get any recognition. I read this book once to Ella back when it first started gaining devotees last summer, and I didn’t really get why people were so over the moon for it. When I saw it on the 2×2 list, I figured it was time to give it another chance. And although it’s probably never going to be my favorite book, I did understand better why people love it so much. It’s an alphabet book, but definitely with its own spin. Zebra is lining up all the animals and objects for an ABC show. And Moose is just BESIDE himself anxiously waiting for M to come. But when it’s time for M, Zebra goes with “Mouse” instead. Moose, as you can imagine, is not pleased. This book has SO many fun little details that I noticed more this time through. I think you could probably read it a dozen times and find something new to love each time. And Ella immediately wanted to read it again, so maybe I should start asking HER to write about the picture books since her taste is clearly more in line with those in the know. I Want My Hat Back by Jon Klassen. This one was kind of the darling of the book world when it came out last year and after seeing it pop up one place after another, I saw it at the BYU Bookstore when we were visiting Utah last summer. Bart and I read it together standing at the display table and laughed our little heads off. A bear has lost his beloved hat and goes from animal to animal, asking if they’ve seen his hat. And when all answer that they have not, he feels very downhearted. Until he suddenly realizes he HAS seen his hat. And he’s going to get it back. I kind of assumed the humor in this book would be over Ella’s head, but when I checked it out this week, it quickly became her very favorite book. She can hardly stand the suspense and turns the pages faster and faster as we near the ending. And then she laughs and laughs and laughs. Now to get my hands on a copy of Klassen’s Caldecott-winning title. 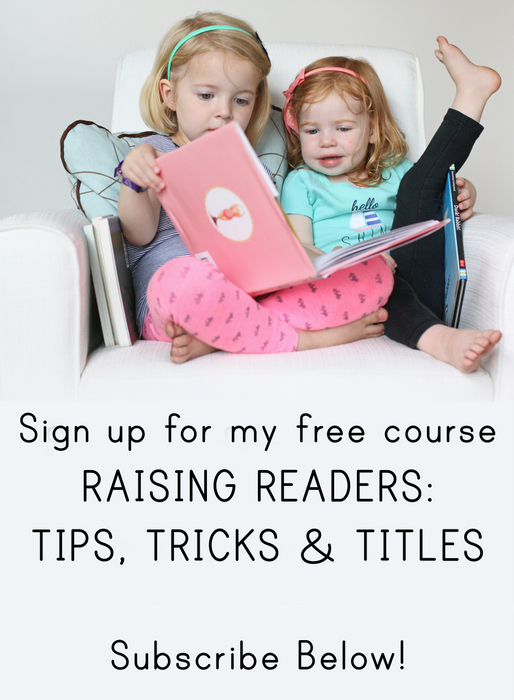 Need more picture book recommendations? Check out previous 2 x 2 posts. I do think both of these are super cute! I love that you are Bart laughed in the book aisle by yourselves. My favorite this week though is The Fantastic Flying Books of Mr. Morris Lessmore by William Joyce! I picked up "I Want My Hat Back" in the library and thought it was funny, but I also thought that kids wouldn't really get it. I'm glad to hear that your daughter loved it! Maybe my nieces and nephews would like it, too. These are two of my daughter's favorite books….so much so that I actually buckled down and bought them (gasp!). 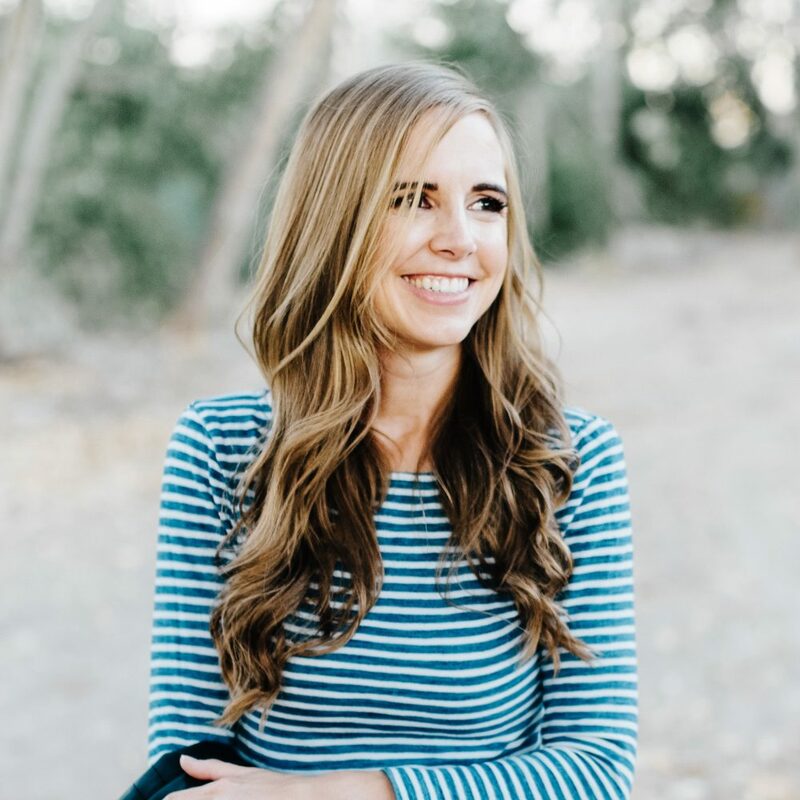 I'm Christy, and I'm a bookaholic, so if I let myself start buying books it can get ugly (just ask my librarian – I frequently cart out about 50 picture books at a time). But back to these books: I was totally unimpressed with both of them the first time we read them. I thought Moose was just plain confusing to a two year old, and I thought that Hat was morbid and in a a danger zone of morality comprehension for a toddler (is it OK to eat someone that takes something from you? Does she understand lying yet?). But she loves the silly mix-ups in Moose, and she always sympathizes when he cries at the end. And she screams "THE BUNNY HAS IT" without fail on the infamous red page. So I guess the moral of this story is two fold: 1) my toddler surprises me every day, and 2) I cave easily when it comes to buying books. I just checked these two out from the library… and despite my best efforts, I don't love either of them. Mmeh. I didn't think my kids would really grasp the Moose book yet and I didn't like the blatent lyig in the bear book. my kids are only so so on them too. Maybe because I'm not enthused and they sense it? Oh well :(.